The Elders Group is hoping to build an Aboriginal Memorial Garden in the cemetery at Walgett. It will be a place for community members to gather and remember those who have passed. 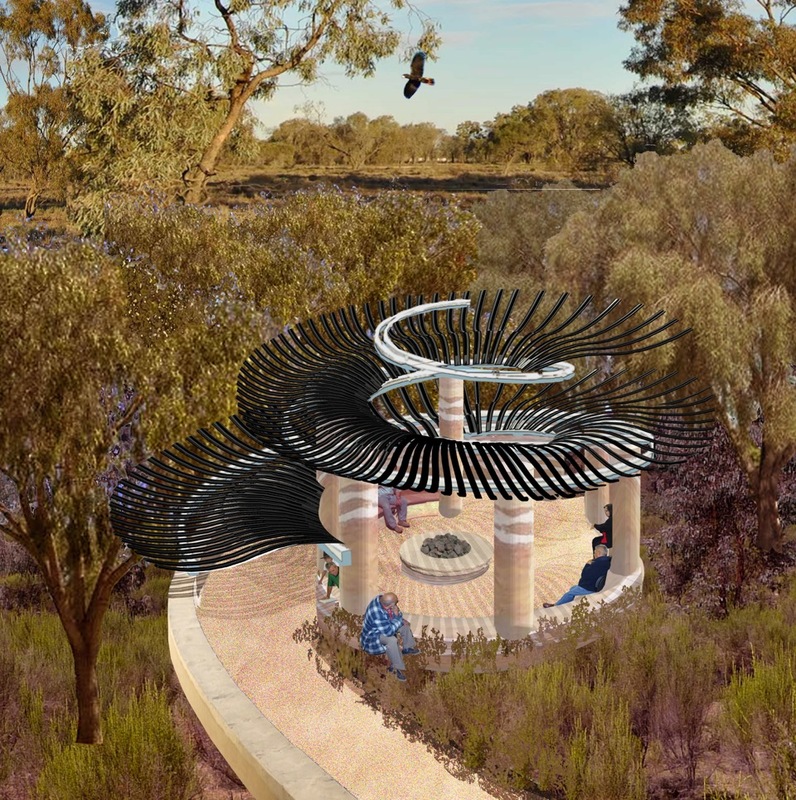 Land at the cemetery has been allocated to the Dharriwaa Elders by the Walgett Shire Council for their Memorial Garden. The Elders approached ICV for help finding a skilled volunteer who could design the gardens and help prepare a comprehensive plan to be used in future funding submissions. Below: Designs of the Aboriginal Memorial Garden (Click images for larger view). It has taken some time, but they finally have their vision on paper. Thanks to talented ICV volunteers Rachel and Steve, the Elders now have some amazing drawings to present to Council. And after approval, it’s fundraising time! The Elders will be launching a Crowd Funding Campaign and we look forward to keeping you up to date with their news.